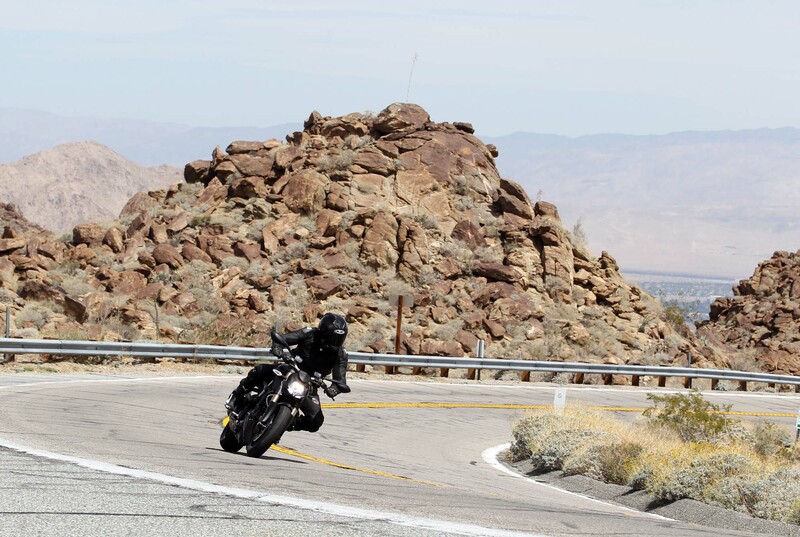 Breaking from our urban routine in the San Francisco/Bay Area, Asphalt & Rubber was hosted this week by Ducati North America in the high desert outside of Palm Springs. 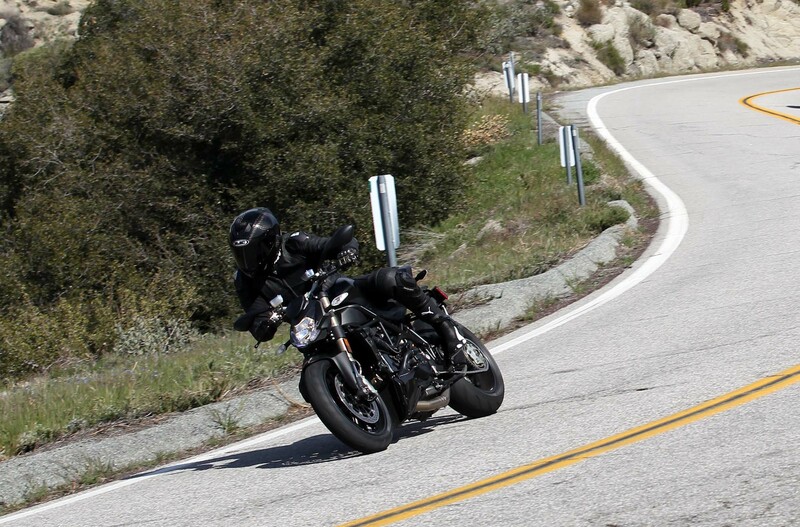 Taking the 2012 Ducati Streetfighter on a 150 mile route, we got a good mix of mountain sweepers, tight switchbacks, in-town stoplight racing, and straight-shot freeway cruising. 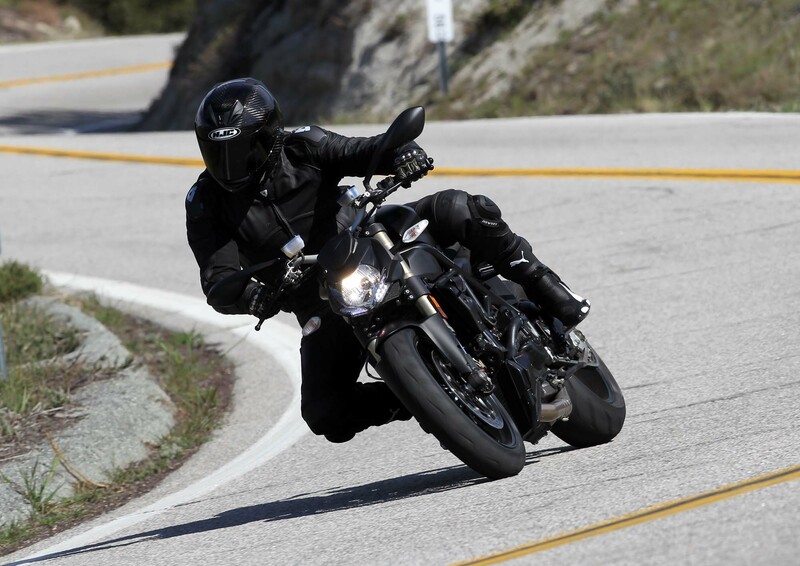 With the Southern California gods smiling down endless amounts of sunshine, we put the Streetfighter 848 through its paces, and were pleased with the results. 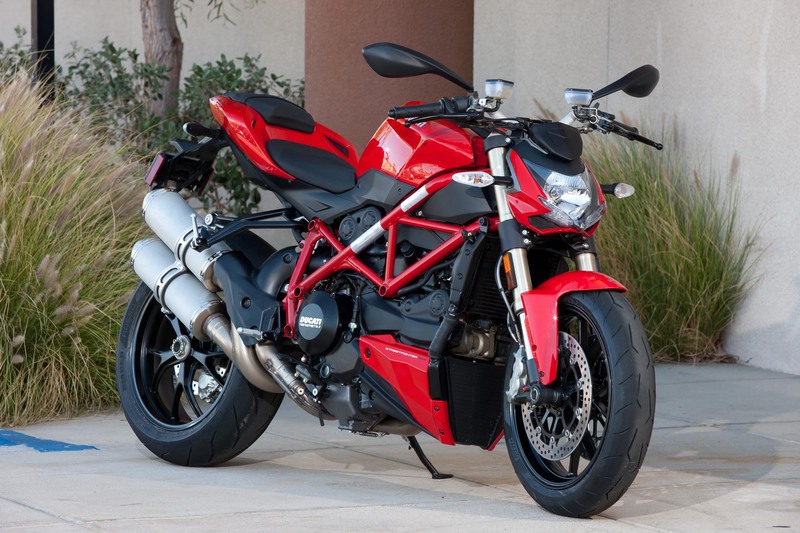 Perhaps the most important thing to remember when thinking about the Ducati Streetfighter 848 is the fact that the machine is a direct replacement for the base model Streetfighter 1098. 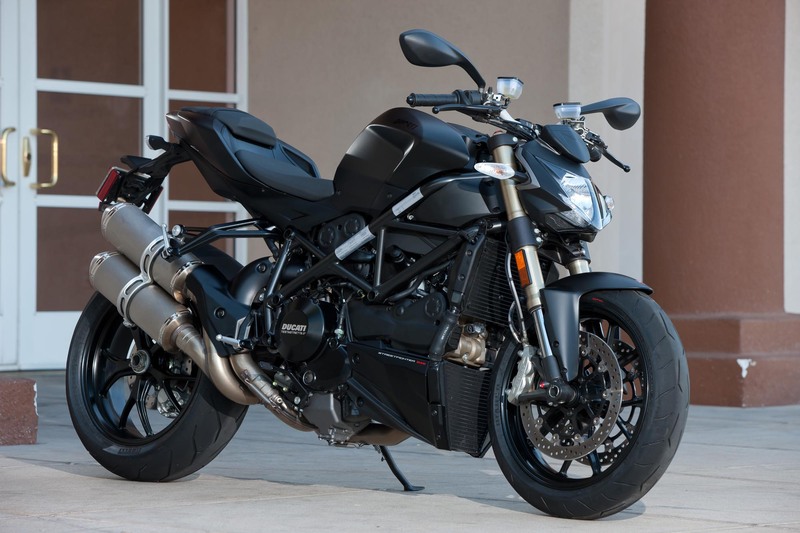 You will not hear anyone at Ducati state that fact, but your first tip-off should be the fact that only the Streetfighter 1098 no longer remains on the Italian company’s rostrum for water-cooled street-naked motorcycles. 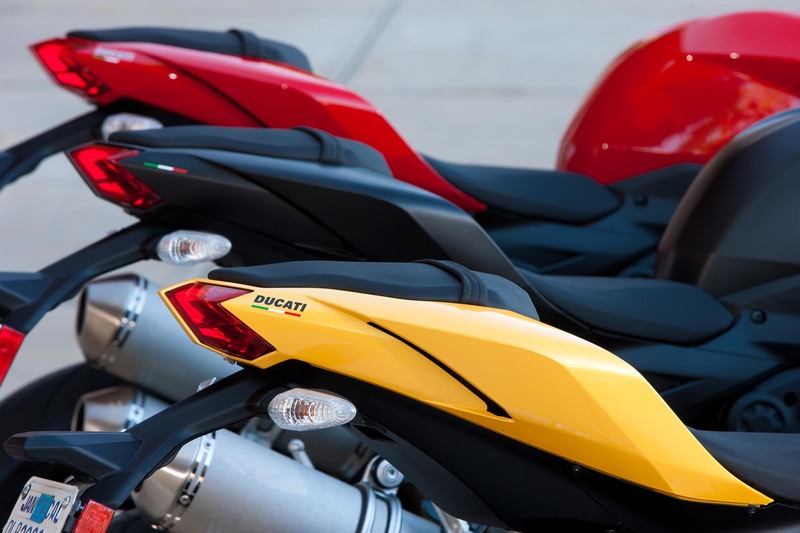 With only 249cc separating the two Streetfighter trims, the Streetfighter in its 849cc flavor naturally has to distinguish itself from its 1098cc sibling. 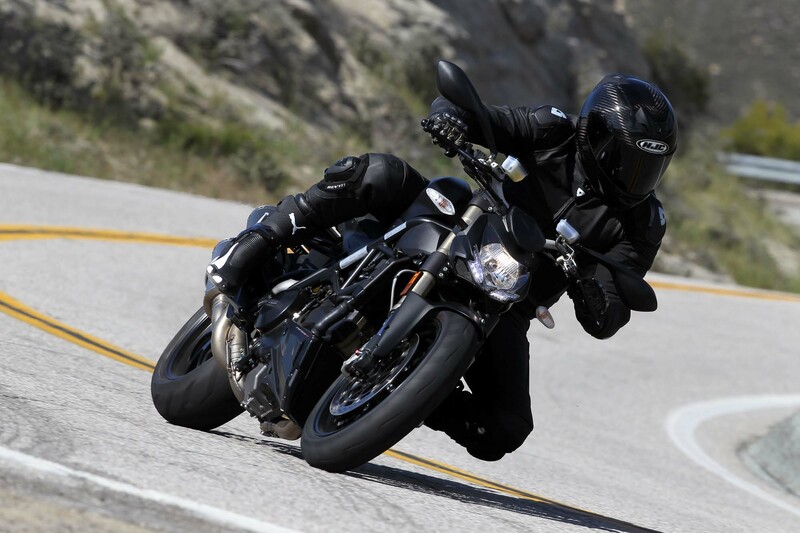 When the Streetfighter existed as only the 1098, this differentiation was accomplished by having two different trim packages, and the differences were ones of components and pricing. 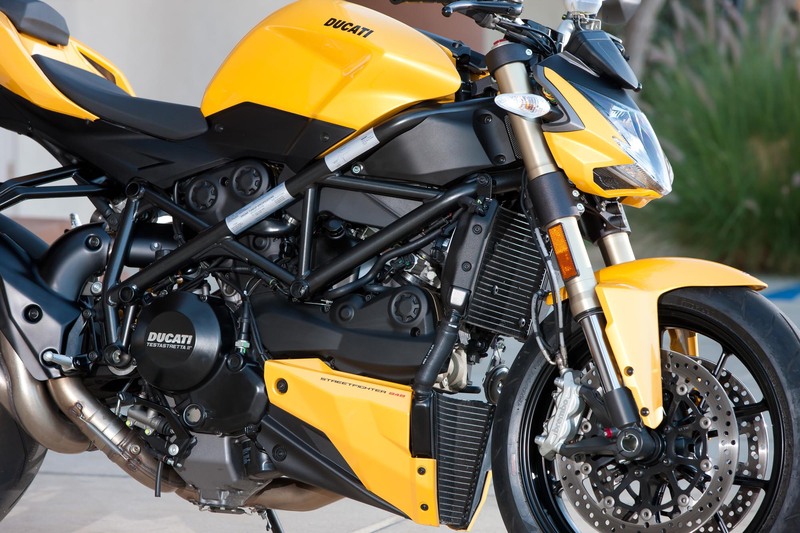 Ducati has changed that for 2012 though, as the Streetfighter 848 differs from the Streetfighter 1098 S on a multitude of levels. Yes its cheaper, yes it comes with lower-spec components, but what is perhaps the most interesting thing about the Streetfighter 848, is that Ducati has managed to change the character of the model just enough to make it function for a different purpose than the raison d’être of the Streetfighter 1098 S.
“Raw” would be the word I would use if I had to define the SF1098 line succinctly. 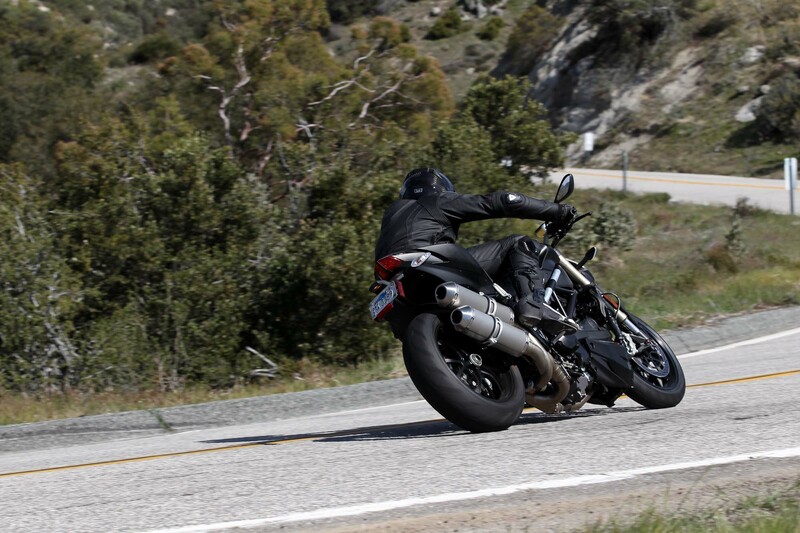 As poorly mannered on the street as its Superbike forefather, the Streetfighter 1098’s 155hp v-twin power plant is like bringing a gun to knife fight, and the bike’s blunt delivery of that power is like packing your chamber with a magnum round. Add into the mix the excess of the “S” package, with its Öhlins suspension, forged alloy rims, and Ducati Data Acquisition (DDA), and you have a motorcycle that comes with a handsome price tag of nearly $19,000 for bits and pieces that will have a marginal effect on the bike’s intended use as a street-going steed. 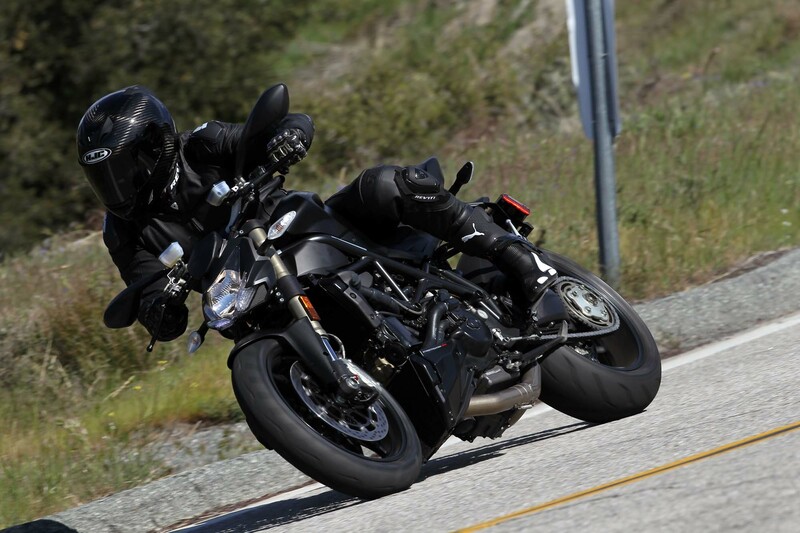 Counterpoint to this exercise in excess, the Ducati Streetfighter 848 does away with Ducati’s problem of having two absurd models in its streetfighter genre, and instead brings a package that has been refined for the purpose of being a sporty, yet more sensible, motorcycle that equally speaks fluently in both fun urban-hooliganism and fast canyon-racer. 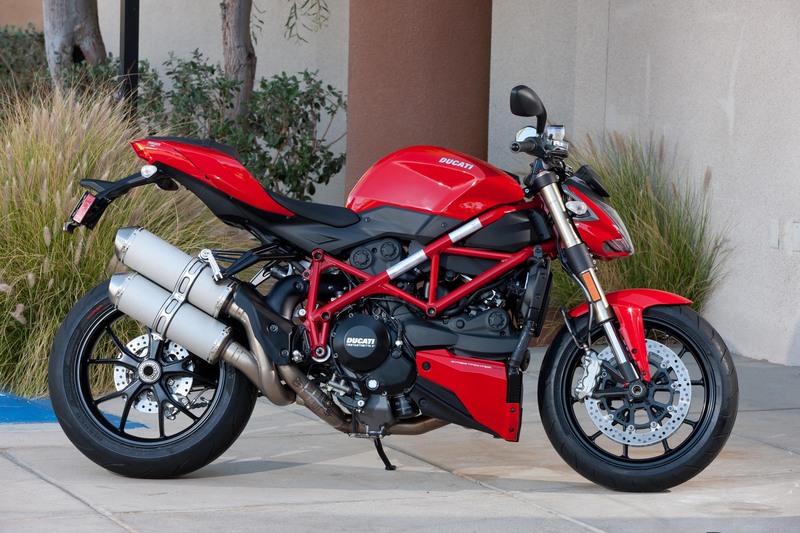 Helping the Streetfighter 848 achieve its sporty factor is the bike’s borrowed chassis from the Superbike 848. 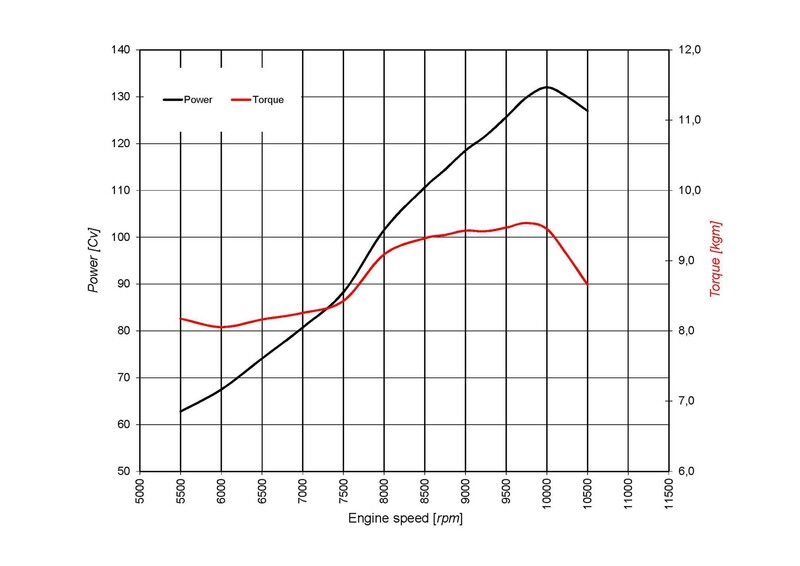 Reducing the rake to 24.5°, from the SF1908’s 25.6°, the Streetfighter 848 benefits from having greater front-end feel, something the original model lacked during hard riding. 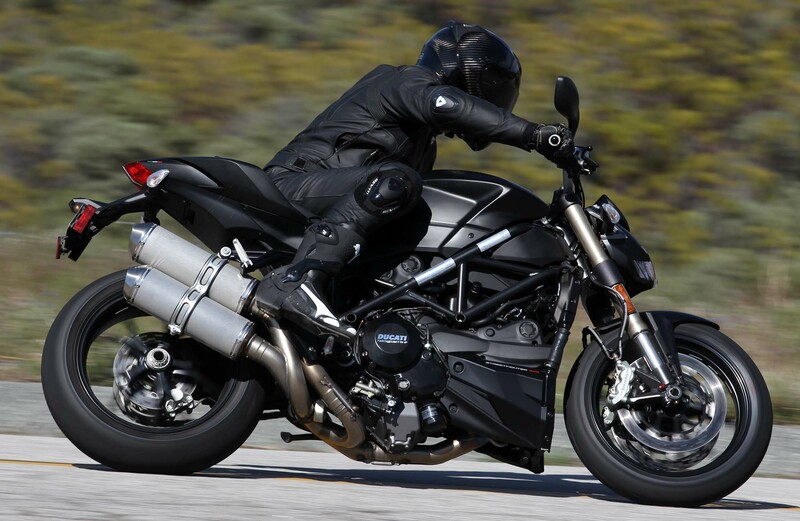 True to its supersport roots, the 848’s chassis is sharp, flickable, and confidence inspiring, though the only thing holding back the SF848 chassis is Ducai’s use of lower-spec suspension, wheel, and braking components. 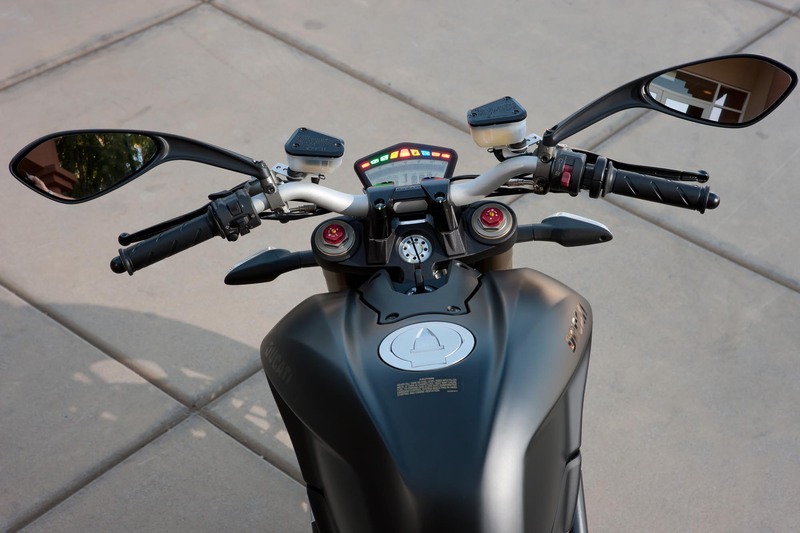 With 43mm fully-adjustable Marzoochi forks up front, and a fully-adjustable Sachs shock, the Ducati Streetfighter 848 has decent enough suspenders for the task it was designed for, though you won’t be ranting and raving at bike nights about the suspension package. 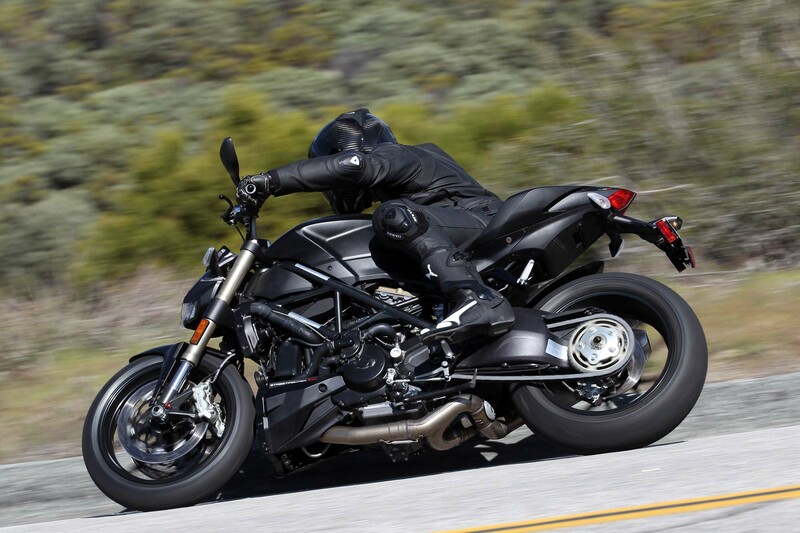 Also of note, the SF848 comes sans a steering damper. Like the suspension, the radially-mounted Brembo brakes are good and have a nice progressive bite to them, but true spec-sheet racers will lament the absence of monoblock units. 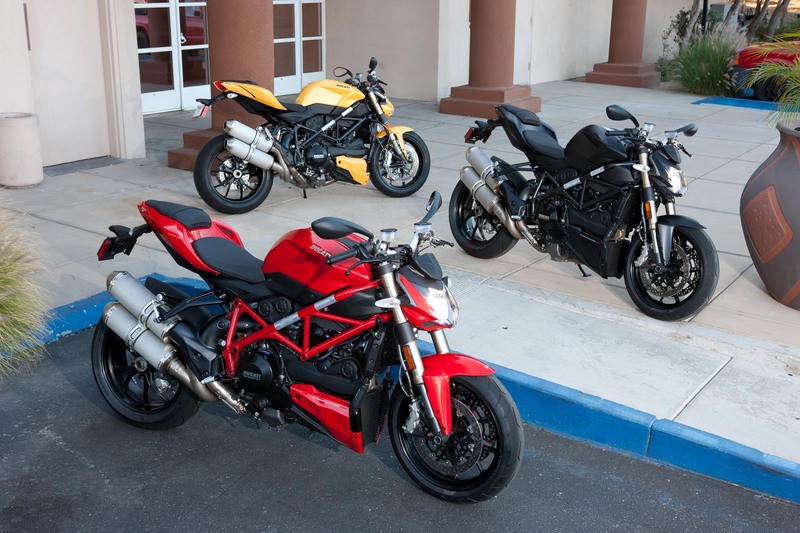 These choices by Ducati serve two purposes: 1) They bring the Streetfighter 848 into its $13,000 price point, and 2) they get the job done. 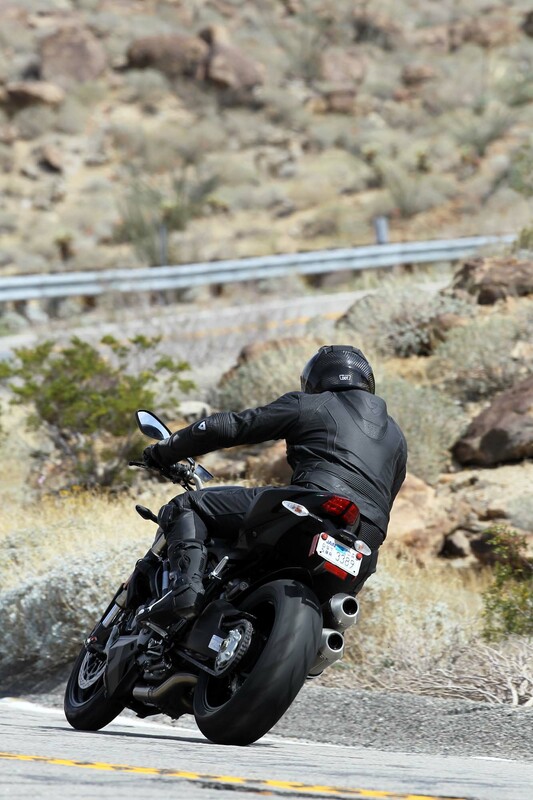 Remember, this is sport bike that has a practical side. 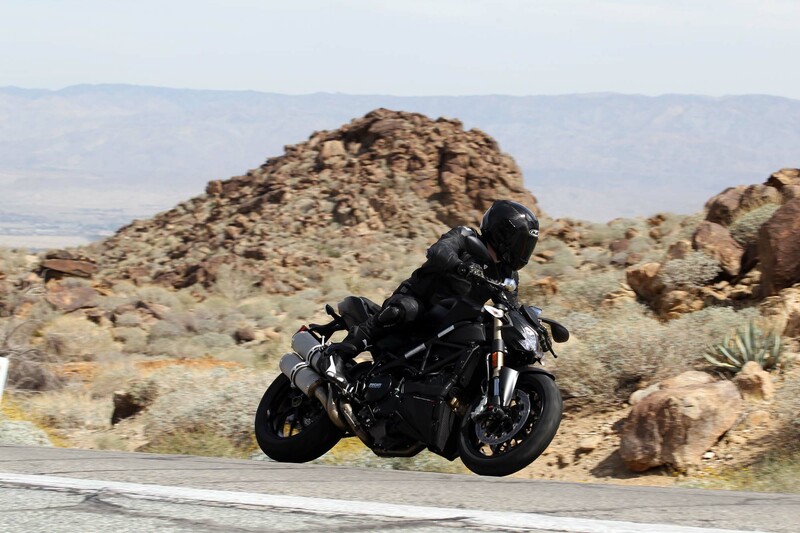 For riders that “need” Öhlins and monoblocks, and the marginal utility they bring to regular street riding, the Ducati Streetfighter 1098 S bragging rights model is readily available. That all being said, I still lament the fact that the SF1098’s rear-ride height adjuster did not make it onto the SF848, though its primary purpose of fixing the 1098’s geometry is not as critically needed. 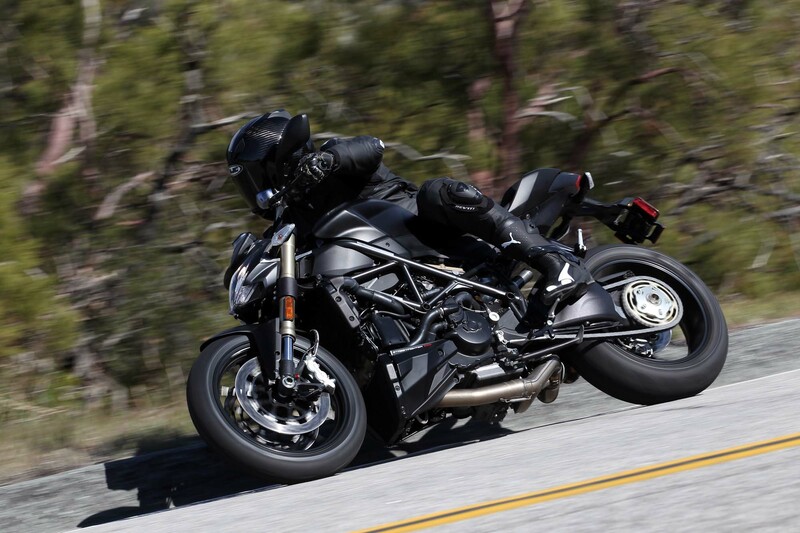 Continuing the practical side of the Ducati Streetfighter 848 is the much talked about Testastretta 11° motor, which has been the defining feature of both the Ducati Multistrada 1200 and the Ducati Diavel — though this time the engine is displacing 849cc instead of its regular 1199cc. 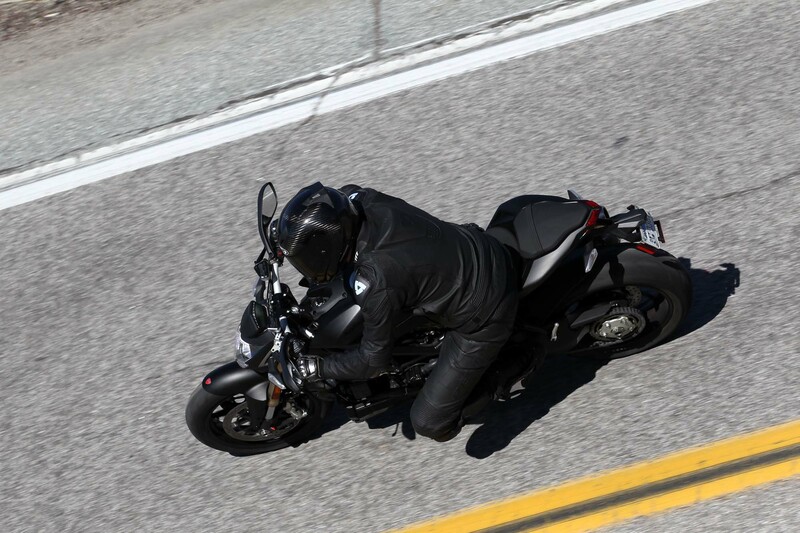 Sacrificing some peak power for a smoother power delivery, the peaky nature of the Superbike 848 is replaced with a progressive and trackable 132hp power curve on the Streetfighter 848 that makes the rev range below 9,000 rpm actually seem usable. You can only tame the beast so much though, as the SF848 still enjoys living above 5,000 rpm, and has a healthy torque boost that starts at 8,000 rpm. Another staple of the Testastretta 11° motor is its hydraulically-controlled wet clutch, which provides for much smoother gear shifts and better clutch feel when compared to its dry counterpart. 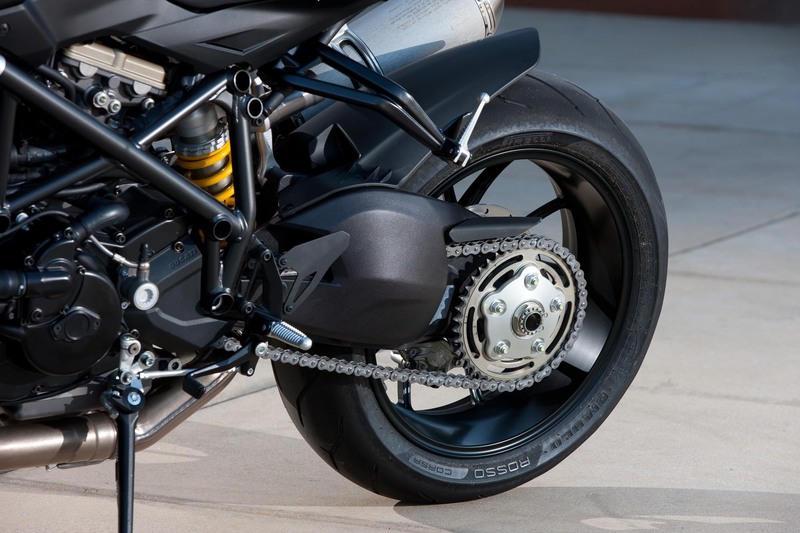 Long thought to be blasphemy amongst the Ducati-loyal, the Ducati Streetfighter 848’s wet clutch is a progression from the farm equipment inspired transmission that was born out of Ducati’s racing heritage. 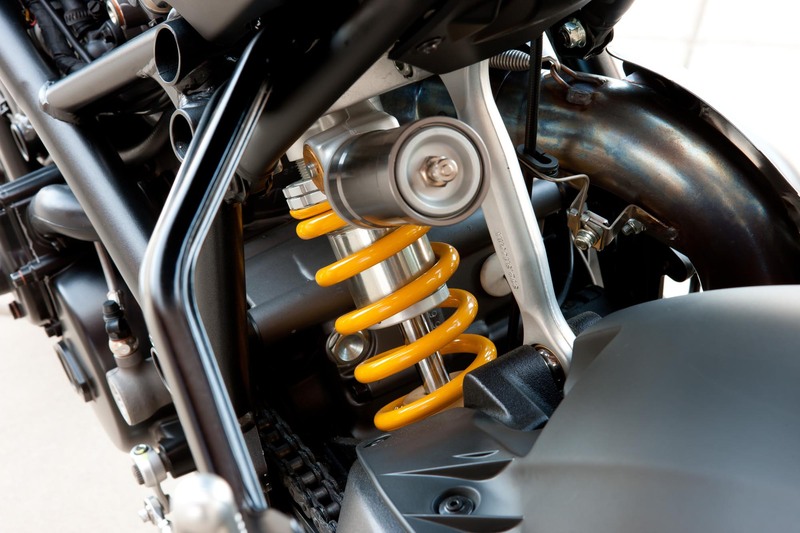 The truth is that the Testastretta 11° oil-bathed clutch is a marked improvement over Ducati’s previous dry clutches. 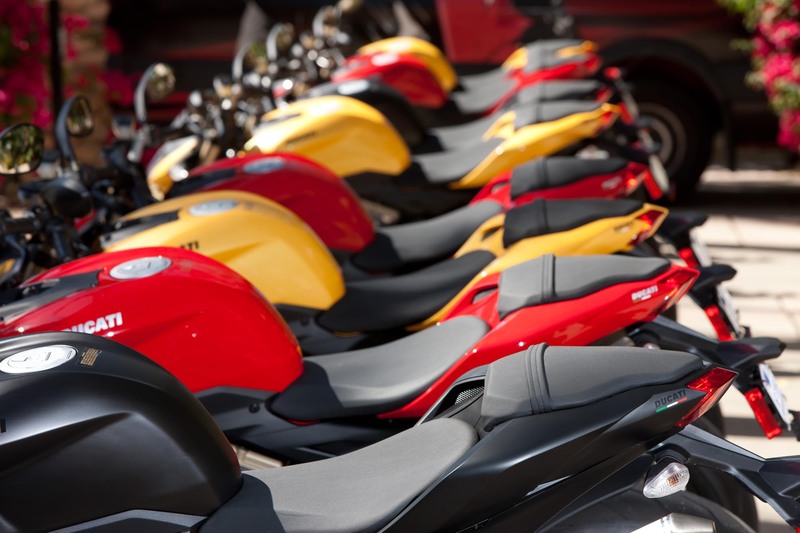 Bologna has embraced this fact, and it is about time Ducatisti did as well. 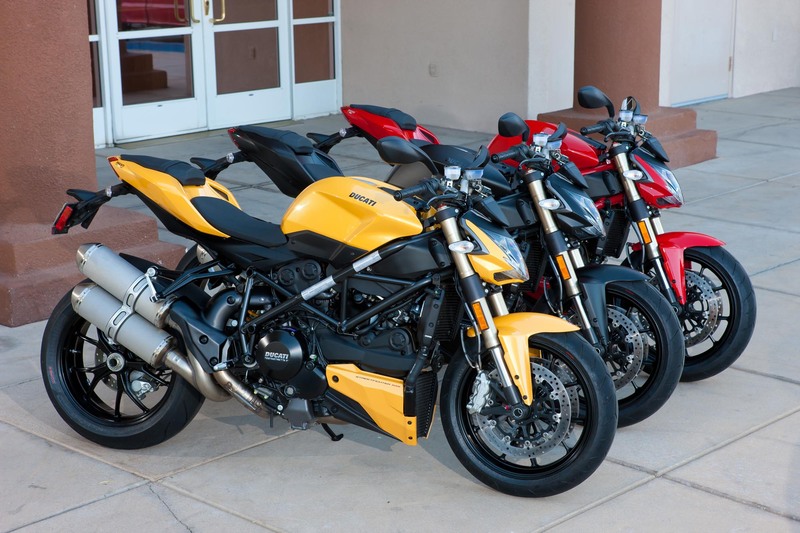 Cherry-picking some of the best elements available in Ducati’s arsenal, the Ducati Streetfighter 848 also continues the trend of how electronics are becoming the new horsepower. 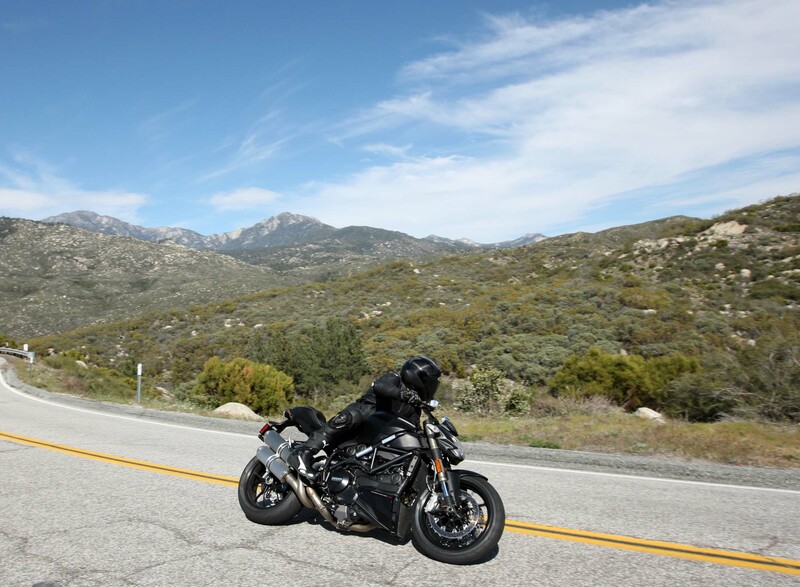 Featuring the Ducati Traction Control (DTC) system, the electronics package has its benefits both in town, as well as in canyons. Selectable to nine levels (eight levels “on” settings + “off)”, the DTC system operates over a wide gamut of wheel-spinning restriction. More of a wet-weather setting, Level 8 on the DTC will well throw a wet blanket on even the most mild-mannered twist of the wrist, and should be reserved for wet days where questionable road conditions prevail. In our testing Level 5 proved to be a good setting for aggressive riding, and rarely showed itself in our spirited apex dreaming, whereas the Level 1 setting should just be renamed “Carlos Checa” as it would only be applicable in a track environment. 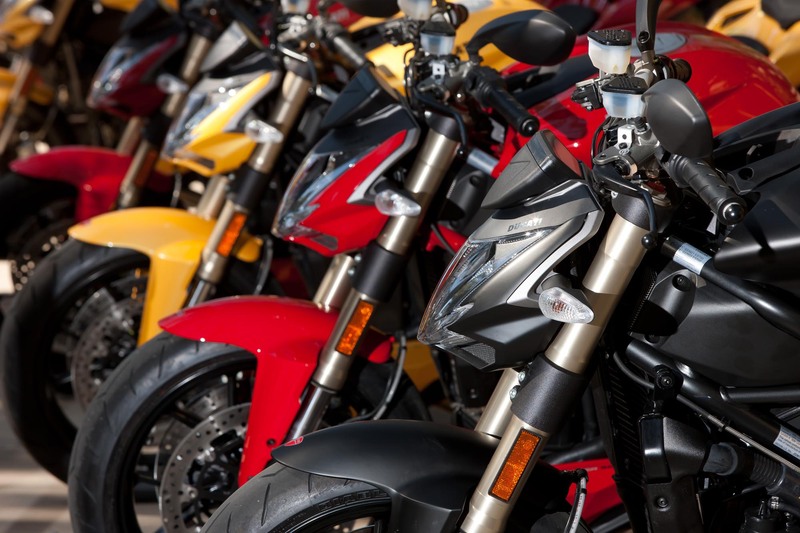 While purist riders still scuff at the idea of electronic aids, the fact remains that traction control and anti-locking brakes provide a safety net for the inevitable rider error. 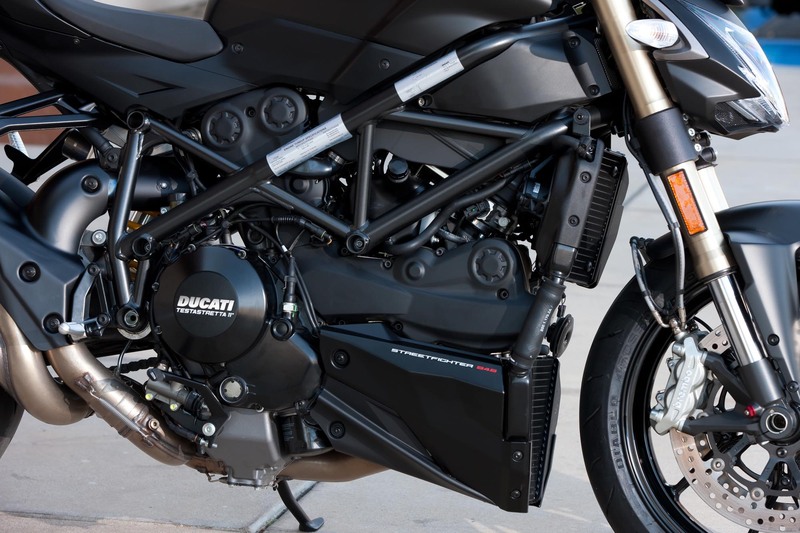 Providing a traction control system that can operate in the two worlds that the Streetfighter 848 was designed to operate within, Ducati has even thought of Luddite riding brethren, who can simply turn off the DTC at their leisure. 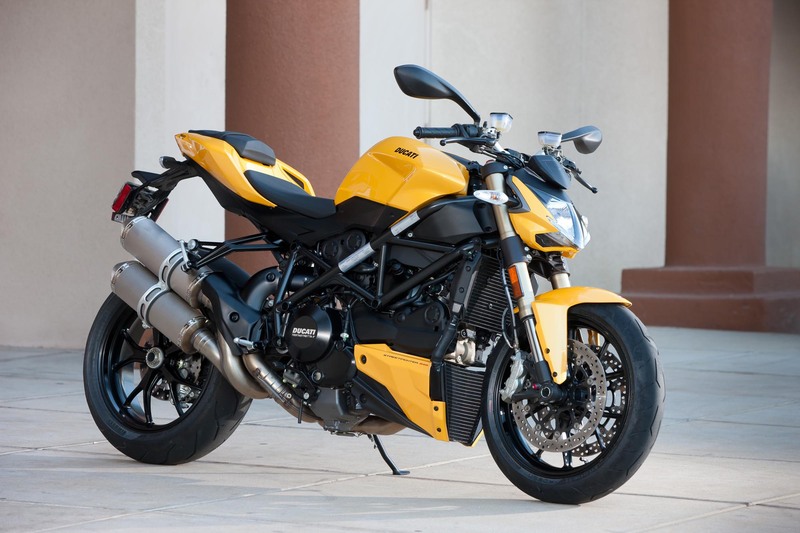 There is no ABS on the Ducati Streetfighter 848, which is interesting, since the technology has found its way onto everything from the Ducati Monster to the Ducati 1199 Panigale. With each revision of Bologna’s bikes getting ABS, its leaves one to wonder why this rider aid was left out of the package. That reason could very well have to do with one thing. 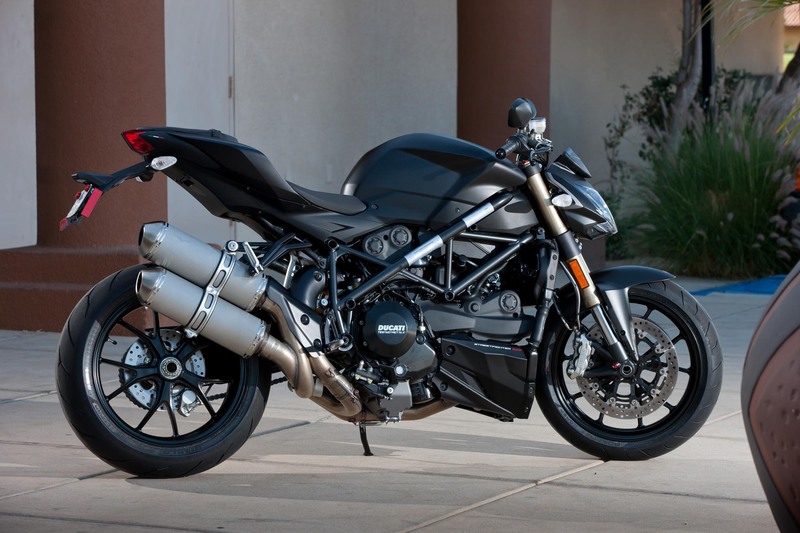 Priced at $12.995, the 2012 Ducati Streetfighter slots in well with Ducati’s product line-up, though where it sits with its competition is perplexing to gauge since there simply are not very many premium-oriented models in this motorcycle category. 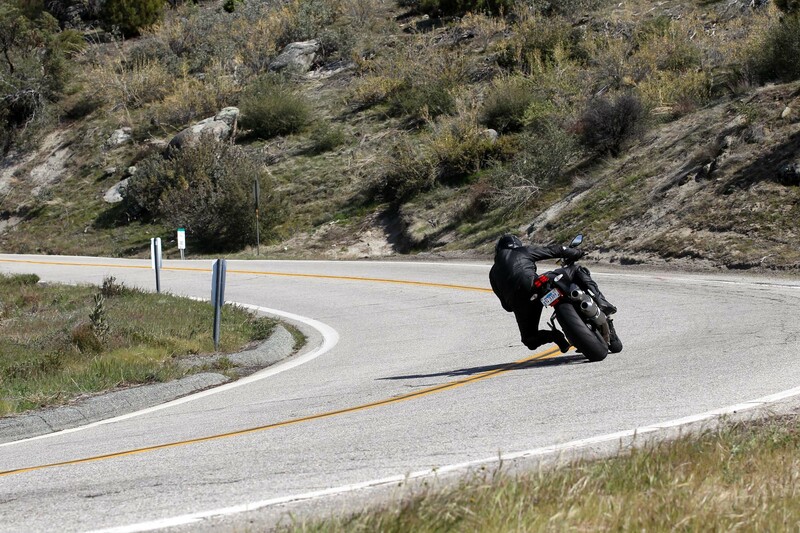 For the money, a rider gets a potent machine that we can’t find too many faults with after riding it. Like the Streetfighter 1098, you will either love or hate the aggressive design that Damien Basset has penned. For me, seeing the bike in person changed my opinion dramatically, as the photos coming out of Milan at the time didn’t do the bike justice. 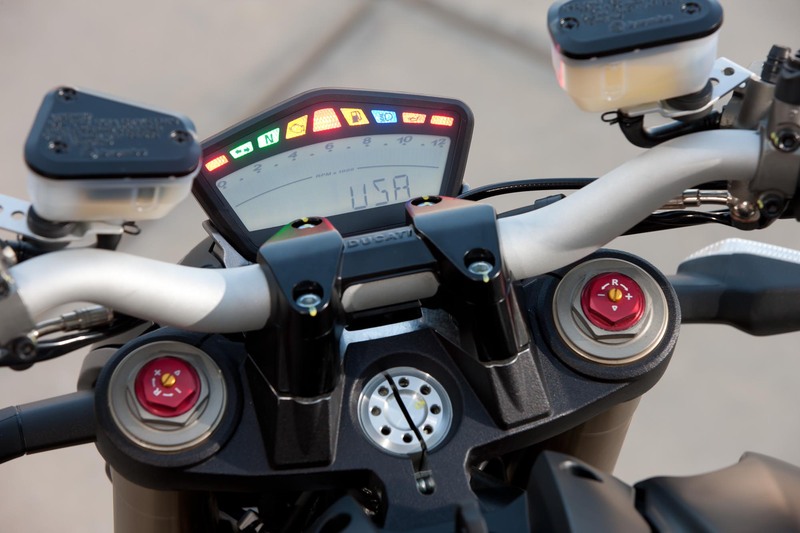 Basset made few errors when working on the SF1098, but it is troubling that one of the bike’s biggest complaints from riders was not address with the SF848. Yes, the right-side foot clearance is still impeded by the exhaust routing and heat shield. 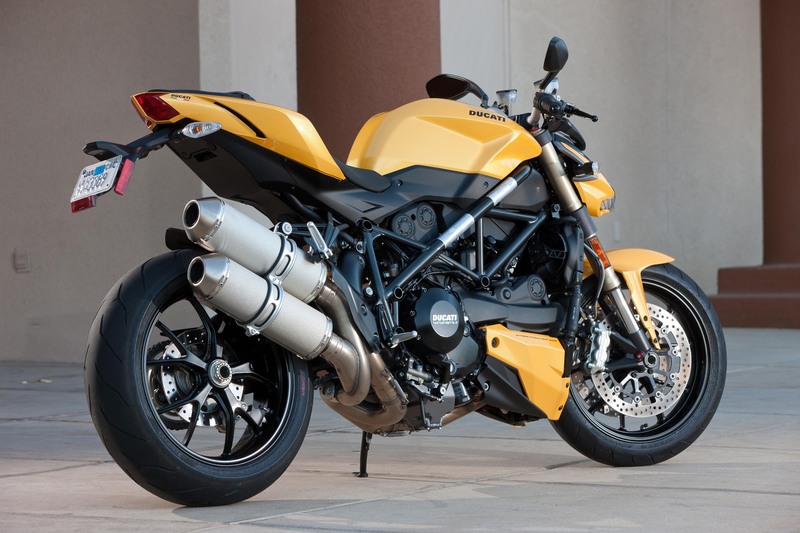 Because the Streetfighter 848 uses smaller exhaust headers, the clearance is improved, but only slightly. With every left-turn, my right boot was kept from turning fully, meaning my knee had to make the difference. After a day of canyon riding, you will feel like an old man with arthritis because of this problem. Is it a deal-breaking problem? Not really, but you will curse every time your right heel hits the shield and runs out of peg. 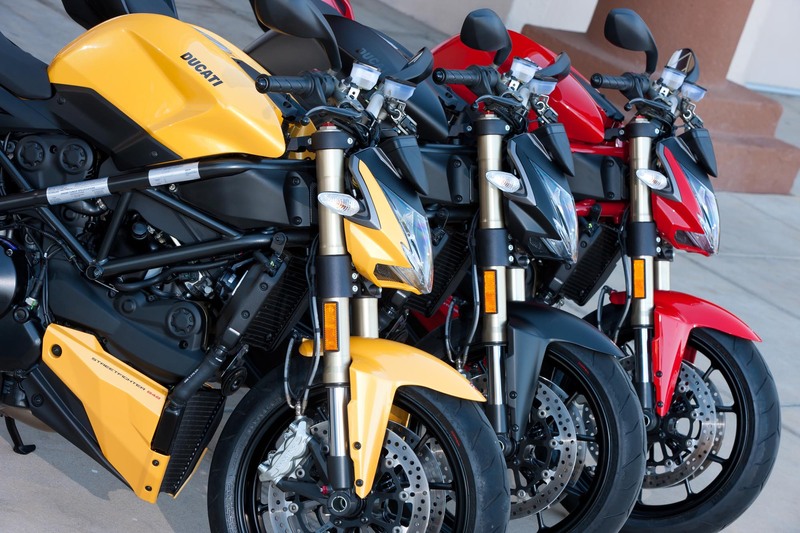 Coming in three colors, Rosso Corsa Red, Fighter Yellow, and Dark Stealth, our money would have to go towards the all-black model that we tested on the ride. 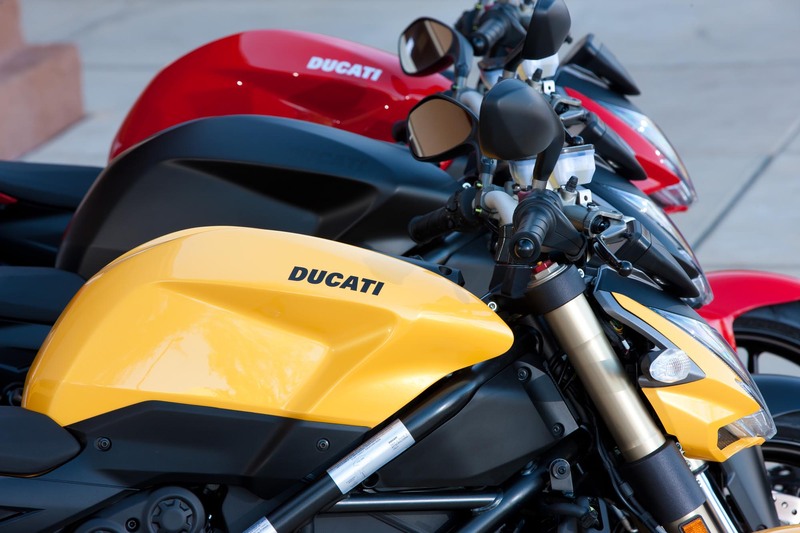 The red frame on the red model is a nice touch though, and with the Streetfighter 848, Ducati has brought yellow back into the fold. Not quite the Italian racing yellow of old, Fighter Yellow is a few shades lighter and less vibrant in color. That’s not to say the color is not striking, but it doesn’t “banana” when you see it. 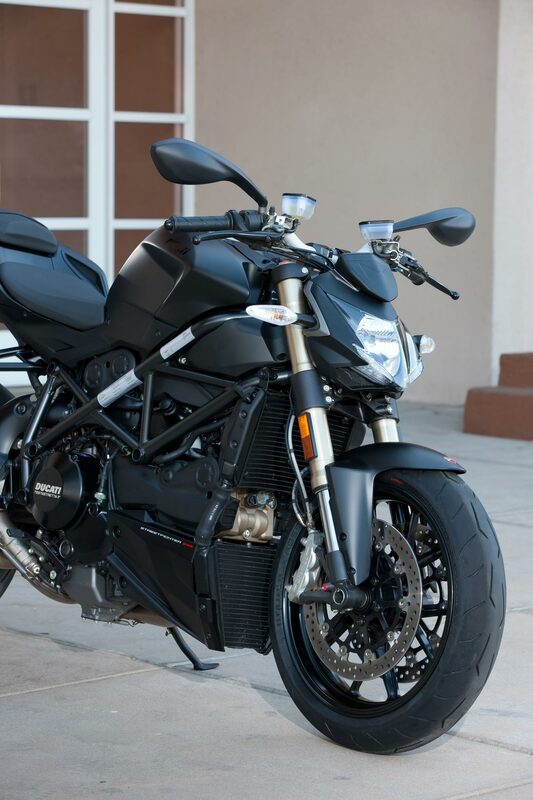 Lots of grunt, fun to ride, and well-priced, Ducati has made a fine replacement for the base model Streetfighter 1098. 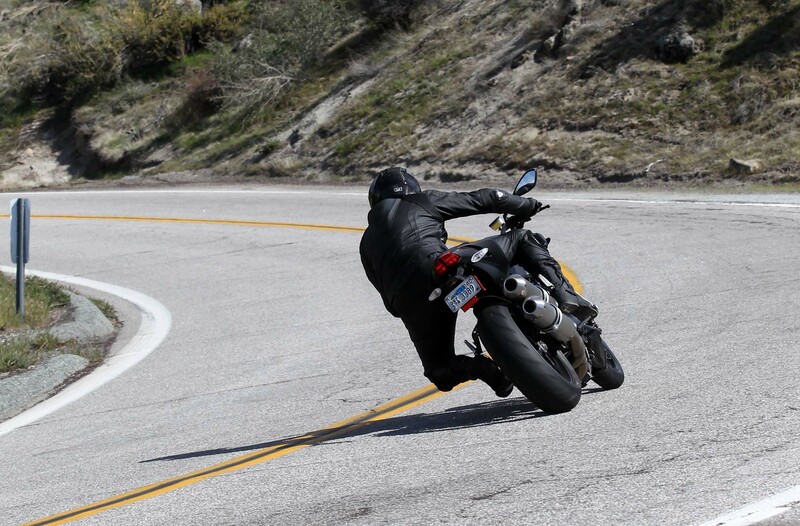 For riders looking for a fast and fun street-naked that doesn’t rip their arms off at every opportunity, the Ducati Streetfighter 848 in our opinion is the best bike on the market (sorry Triumph Street Triple owners). Stable and with plenty of power for a “supersport” bike, if you have trouble keeping up with your superbike owning friends when speeds are under 120 mph, you best not blame the bike if you were on a Streetfighter 848. 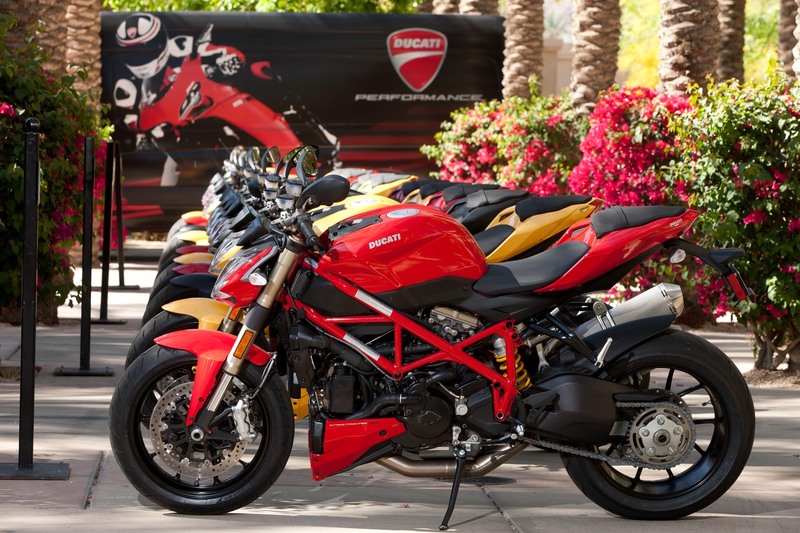 With units being delivered to Ducati dealers next week, you can stop by your local Ducati dealer for a test ride on a Streetfighter 848.